Tons of great videos and pictures from Adam Lambert’s first Glam Nation concert in Wilkes Barre, Pennsylvania June 4th have surfaced! Below are several links to great sites for your glittery enjoyment!! TALC videos always rock, you can’t go wrong here: http://www.youtube.com/user/tuke18. 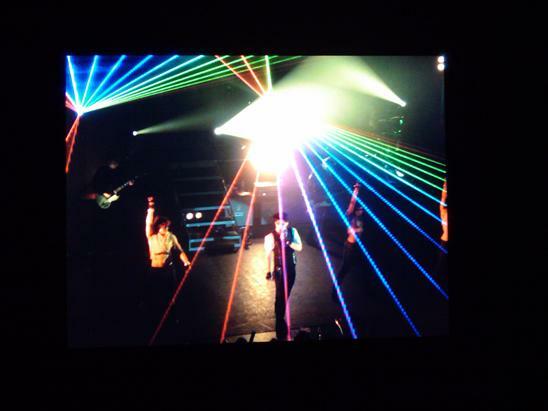 And yes, once again, LoveLightAdam had me squealing with delight at the pictures she took last night: http://twitpic.com/photos/LightLoveAdam (including the ones above!). You go, girl!!!! 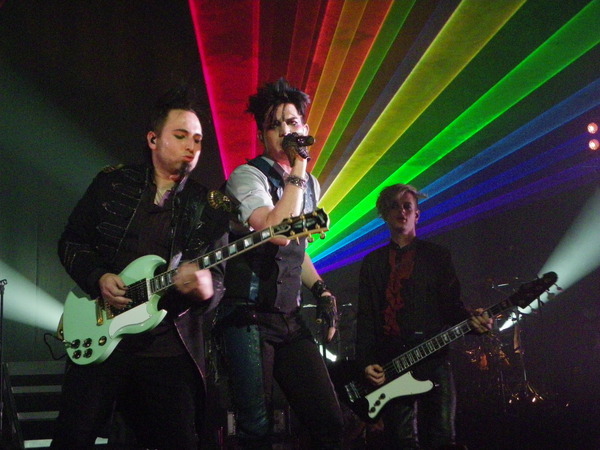 More great pics being compiled at http://s127.photobucket.com/albums/p150/sf_ebay/a1/glamnation/wilkesbarre/?evt=user_upload_approve&sort=ascending. Several fellow Adam fan(atic) friends are FIRST IN LINE to get into Starland tonight (they’ve been there since early this morning)!! Giving a shout out to @glambertaddict and @suenomma!!! Stay hydrated and keep your batteries full, dears! I want a full report after the show!!! Please don’t forget to follow me on Twitter @GlamFanNation (link on the right side of this page) for the latest updates and reports from the gals!! 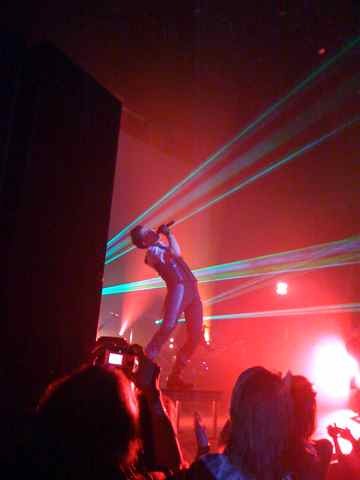 Adam Lambert kicked off his summer tour in Wilkes-Barre Pennsylvania June 4 barefoot, to tons of love and lasers!! The set list included Voodoo, Down The Rabbit Hole, Ring Of Fire, Fever, Sleep Walker, WWFM, Soaked, Aftermath,Sure Fire Winners, Strut, Music Again, Broken Open, If I Had You and Mad World. Picture above from http://twitter.com/shoujokakumei. Below from http://tweetphoto.com/user/2421505 (lots of other good ones there, too)! Watch the show here: http://www.ustream.tv/channel/kisalacast …more to come! Let The Glam Nation Begin!! Adam Lambert’s Glam Nation tour begins tonight in Wilkes-Barre, Pennsylvania!! VH1 introduced “Posted”; Adam will be giving updates here as he tours the country: http://www.vh1.com/video/misc/524411/adam-lambert-posted-promo-lighting-rehearsal.jhtml. “Posted” is explained nicely here: http://www.examiner.com/examiner/x-11363-TV-Examiner~y2010m6d3-American-Idol-Adam-Lambert-takes-part-in-new-way-to-interact-with-fans-video?cid=sharing_twitter:11363. From the Ralphie Radio Show: http://vimeo.com/12294500. From Donors Choose: “Adam recently asked his fans to support DonorsChoose.org instead of sending him gifts. He has no room to store the gifts as he makes his way across the US this summer, so he would rather his fans dedicate their energies (and their funds) to supporting the arts in public education. Go here http://www.ustream.tv/channel/hannabec for a live USTREAM of Adam’s concert in Wilkes Barre tonight!